Matt Brittin, Managing Director, UK and Ireland for Google, has conceded that the Internet giant’s initial effort at entering the TV market was less than successful. “We haven’t given up; we know it was a first attempt,” he told delegates at the FT Digital Media and Broadcasting Conference in London. 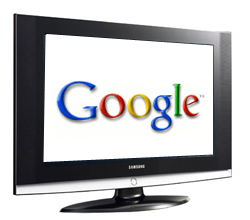 Google reportedly asked TV set manufacturers to suspend planned launches at the Consumer Electronics Show in January so that it could fix the product. “We put things out and improve on them. That’s the way we work,” he said, pointing out that the Android mobile phone Operating System had evolved considerably since its introduction.